Artificial insemination is a well-validated technique to help individuals or couples who are having trouble conceiving on their own. However, there may now be evidence that this method could be practiced by scientists and conservationists to address the scarcity or near-extinction status in various species. This idea has been demonstrated in a relatively well-known and large mammal that may be at the risk of endangerment: lions. A pride of these cats, located in a private reserve, has been the subjects of an artificial insemination experiment that has resulted in the birth of two live cubs. This particular species of lions (Panthera leo) is found in Africa and some parts of Asia. These lions were originally found in many parts of the African continent, but they are now thought to be extinct in 26 countries. That said, the total number of lions has fallen by about 43% in the last twenty years. This occurrence is thought to be driven by humans who hunt and kill these animals for souvenirs. For example, the lion skeleton trade is reported as booming in some Southern African countries. The entire species is categorized as vulnerable to endangerment on the International Union for the Conservation of Nature’s (IUCN) Red List of species in possible need of protection. 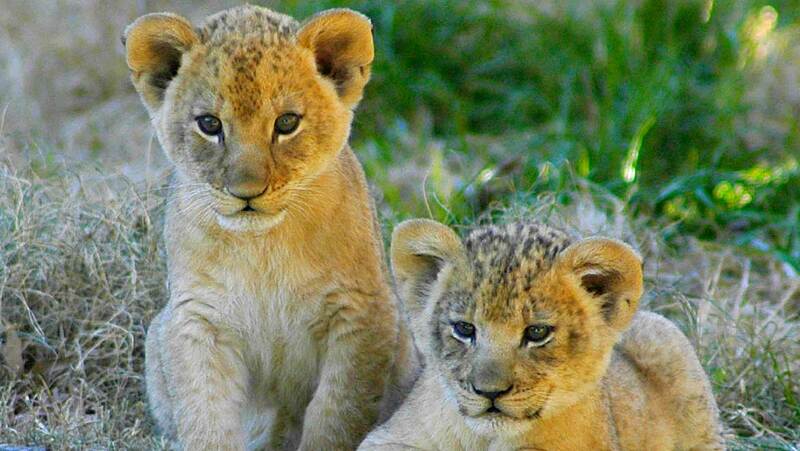 Currently, the IUCN estimates that there may be as few as 20,000 lions left in the wild. However, there are more lions on Earth than this. They are housed in institutions such as wildlife parks and big game reserves. Most of these facilities operate to conserve the lions and help support their numbers. But others are suspected of exposing their cats to slaughter for the rare animal souvenir trade or to private hunting events for the wealthy. Although, it seems as though one of these private reserves is committed to keeping the numbers of their lions high. This park, the Ukutula Conservation Center in South Africa, collaborated with the University of Pretoria in a revolutionary lion breeding program. The program involved selecting a healthy male lion and extracting its sperm. This sample was used to impregnate a female lion, artificially. This lion was chosen for the program through blood testing for optimal health and reproductive hormone levels. These blood samples were taken by training the lions to lie along the same stretch of fence. The testing was carried out by Isabel Callealta, a Ph.D. student at Pretoria. She also trained the lions to lie in the same spot in which they were tested. Calleata claims that the lions did not object to the blood samples. This project went on for about 18 months, which culminated with the birth of two live cubs as a result of the insemination procedure. The cubs, named Isabel and Victor by their keepers, were reported as healthy and normal, and have been in good health since their birth in August 2018. This may be an important point in any further insemination-based experiments involving the Pretoria lions. The research team behind their artificial conception hails the successful technique as "another tool in [science’s] conservation box." However, other researchers and conservation experts assert otherwise. For example, a consortium of scientists from Africa and elsewhere on Earth has written to the Pretoria group criticizing the nature, sustainability, and usefulness of the artificial insemination project. In addition, animal welfare activists find the experiment equally unnecessary. Paul Funston of the big-cat conservation group, Panthera, points out that lions in captivity breed readily without help in any case. Another animal welfare organization, the Born Free Foundation, also assert that the lions in centers like Ukutula are routinely exploited. In other words, these bodies fear that lions like Victor and Isabel may be bred as tourist attractions (or worse) in the future. Lion-spotting-based activities are important to the economy of South Africa, after all; they are also bred for these purposes in reserves. Therefore, artificial insemination may not help the wild lion population in South Africa or elsewhere. On the other hand, it may be a necessary measure to conserve these animals. They are reported to be susceptible to inbreeding due to the unavailability of suitable partners. Lions can be killed through hunting or are too far removed through pride fragmentation over wide areas; the reason could also result from human activity. Artificial insemination may also benefit the populations of other endangered or potentially endangered big cats such as the cheetah (Acinonyx jubatus), which is also on the IUCN list as a vulnerable species. Therefore, the new technique developed at Pretoria may have to become more widespread and acceptable to conservational scientists. This could be expedited through clear regulation for the practice in big cats that prioritizes numbers in the wild over those in captivity. In the meantime, it is not clear if we should welcome a future in which lions are born as a result of artificial insemination.